Garden variety grill accessories come and go. Remarkable accessories stick around. 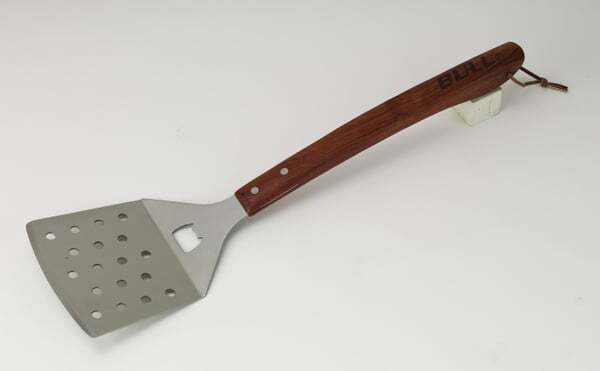 This Steel Spatula will stand out from the rest due to sheer size. It's gigantic! 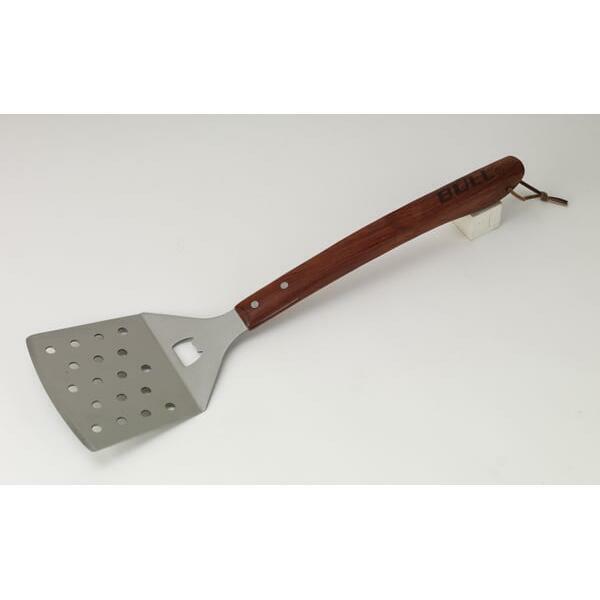 The spatula is stainless steel, so it will stand up to heat like no other material, and the rosewood handle is contoured and comfortable for gripping. And, hey, what do you know? There's a bottle opener for brews and hard-to-open sauces. You get a leg up on the grilling competition with flash like that! And if you're not into competing, well, at least buy yourself a spatula that you won't lose in two weeks from now. This one from Bull Grills should stick around.